Automatic Cleanup was redesigned from scratch for speed. Hardware-optimized scanning and cleanup processes find and clean junk on your Mac amazingly fast. Plus, the newly designed layout walks you through every step of cleaning your Mac, saving you tons of time! 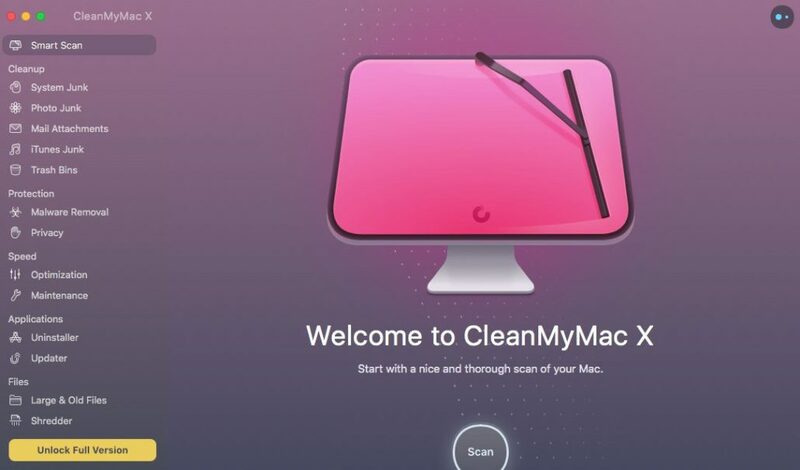 CleanMyMac 2 scans your system for the 11 different types of junk shown above. You can manually review what CleanMyMac 2 has found, or simply hit “Clean” and let it automatically remove the files that are safe for deletion. Find all those huge files you’d completely forgotten about and remove the ones you no longer need, such as movies you’ve watched long ago or files you downloaded and reviewed only once. CleanMyMac 2 offers numerous sorting options to help you find files that meet specific criteria, such as files that haven’t been opened in some time, or files that are larger than a certain size. There’s no better way to locate those giant files hiding out on your system. Your iPhoto library is a lot larger than you think it is. Every time a photo is cropped, rotated or changed, its modified file is stored in the iPhoto library, while the original is kept hidden. CleanMyMac 2 locates all of those hidden originals. You can let CleanMyMac 2 automatically select which invisible originals are safe to remove. Or you can manually review each image and remove only those you no longer want. How much space you clear is up to you!